One answer – it’s gratifying to use your talents to help others while asking nothing in return. However, helping others offers plenty of benefits to the health and well-being of the volunteer as well. Each year, people in the United States donate about 3 billion hours of their time to others, and more than a quarter of that total comes from older adult volunteers. 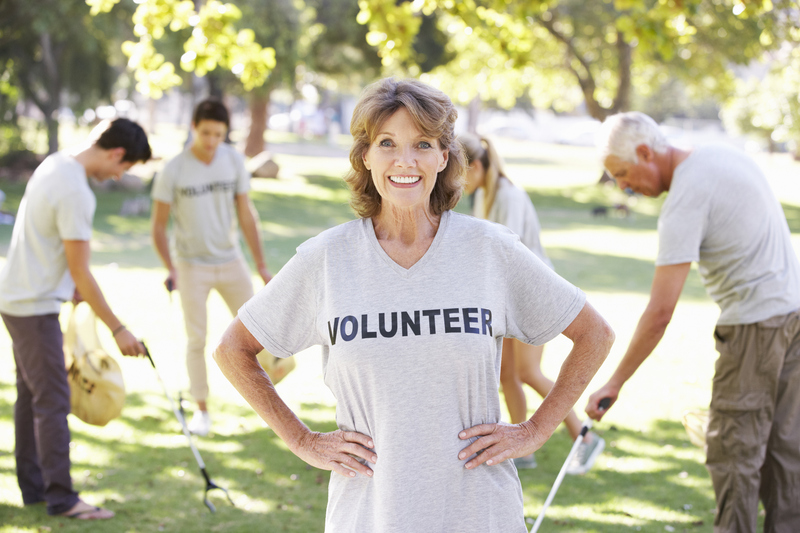 Many seniors volunteer because they’re retired and have the free time. Their children are grown, and they are without many of the day-to-day responsibilities of families with children in the house. According to numerous studies, volunteers who are over 50 years old have reported significant improvements to their mental health, including enhanced productivity, self-esteem, personal growth, and increased social activity. Staying active helps seniors keep their cognitive abilities sharp and focused. In addition, studies show that volunteers who have experienced the loss of a loved-one understand and can help address issues of grief better than their peers who don’t participate in a volunteer program. Donating time is improves the physical health of seniors because it keeps them active. Regular exercise is key to staying independent and living a long, healthy life. According to a Carnegie-Mellon University study, volunteering is a great stress reliever. People who donate their time have fewer instances of high blood pressure, which is a leading cause of heart disease and strokes. Everyone needs a reason to get out of bed in the morning. Volunteers know that they are being relied on and that the people that they serve are looking forward to seeing them. Volunteering gives seniors a feeling of accomplishment after a job well done. The benefits of volunteering can be recognized with as little as 100 hours of time donated a year, or about two hours per week. There are many ways that seniors can volunteer to help other seniors. Some organizations seek volunteers to simply act as a companion and spend time visiting fellow seniors. Senior volunteers can also help a senior with household tasks such as cooking, cleaning, or assisting with paying bills. Where seniors donate their time matters. Researchers found that volunteers were far more likely to enjoy mental and physical health benefits from volunteering when the organization they work with gives them necessary training, continuing support, and greater flexibility in choosing activities and schedules. April is National Volunteer Month, so please consider offering your time at a senior-friendly volunteer program. Bethesda volunteer opportunities are available at each of our skilled nursing and assisted living communities, Bethesda Hospice Care or one of the Meals on Wheels programs. Contact Bethesda to learn more about volunteer opportunities across St. Louis.